Young musicians come to Nashville to chicken-pick and twang. 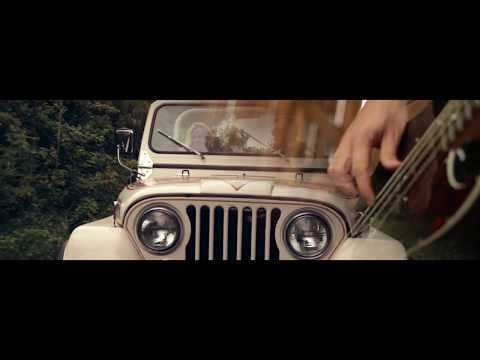 They come to sing about trucks, girls and girls in trucks. Not so with Future Thieves. They came to rock. You hear it in the first seconds of the first track of their first album. Horizon Line, available now on all major digital media, kicks off with a punchy drum intro. Then the band comes in: a quiet verse with urgent lead vocals, crashing guitar chords and thundering bass licks power into the chorus and then it ends suddenly, leaving listeners exhilarated and hungry for more. That first track, “Rosie,” is just the beginning. Throughout Horizon Line, lead singer/rhythm guitarist Elliot Collett, lead guitarist Austin McCool, bassist Nick Goss and drummer Gianni Gibson lay down a sound so compelling that you’d think they’ve been hammering it together for a decade on the road. 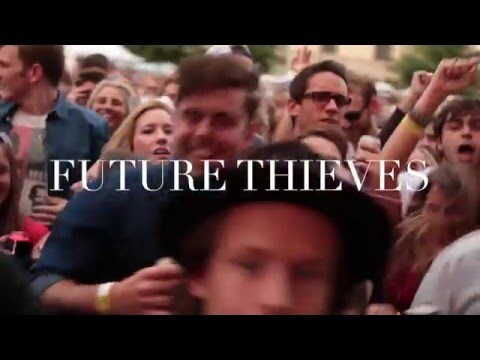 In fact, Future Thieves is just a little over two years old. Yet in that brief time, they’ve stirred up plenty of attention from fans throughout Music City and then beyond the city limits, onstage at Bonnaroo and Summerfest and back home for Live On The Green, on tours with the Black Cadillacs and 10 Years and at venues in Boston, New York City, Philadelphia, Atlanta and throughout their expanding territory. All of which leads to some fundamental questions: How did Future Thieves get it together and hit their high peak of excellence so quickly? It comes down to the four guys involved. Austin and Nick grew up as friends in Evansville, Indiana, and went to Purdue University together. Four years ago, after graduation, Austin moved with his band at the time to Nashville; Nick followed after a while, ostensibly for music industry studies at Belmont University but inevitably to start a new band with his buddy. Meanwhile, Elliot made his own say to town with his band from Kentucky, got to know Austin and Nick and joined their search for a perfect drummer. They found him in Gianni, whose journey began in his hometown of Los Angeles and continued with traveling to the East Coast with a band. He eventually spent time in London before deciding to check out what was going on in Nashville. In other words, right from the start, the music of Future Thieves is based on the excitement of real-time, live action; performance is embedded into their writing. This explains much of why they rocked The Basement at their first show. That’s evident in the thrashing power of “Secret,” in Elliot’s wordless vocal ecstasies at the peak moments of “Liar” and the magical “Golden State,” the title track’s aching romanticism and the crescendo from delicate intimacy to deep, keening emotion on “Joel’s Song,” with Leah Blevins’s guest harmony adding to the urgency conveyed by Elliot’s vocal. Again, Nick’s modesty is becoming. But the truth is, with major festival dates already behind them, a killer album in their pocket and the likelihood of even broader acclaim just around the corner, for Future Thieves the horizon line has no limits at all.